If you’ve been arrested and charged with DUI in the Treasure Coast, obtaining the services of a skilled Port St. Lucie or Fort Pierce DUI lawyer is critical to the defense of your case. An lawyer who has repeatedly (and successfully) defended DUIs will work to ensure that all available evidence is analyzed, all testimony is recorded, all witnesses are interviewed and that the rights of the accused are protected. 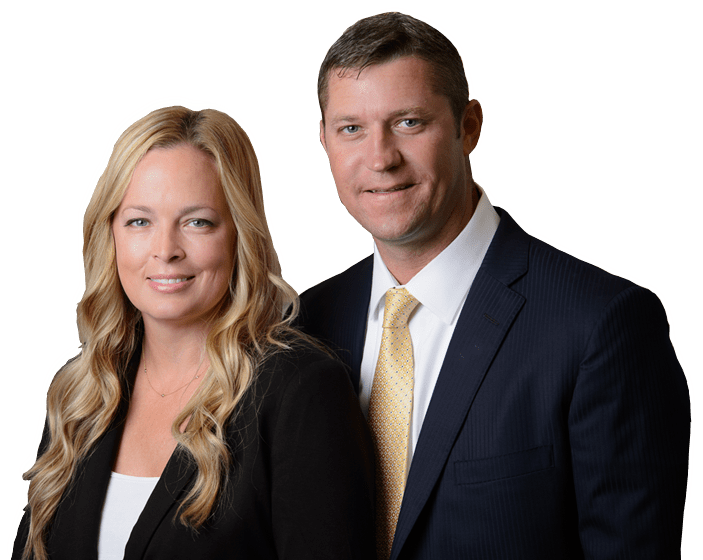 When you retain our defense attorneys to represent you, Ohle & Ohle will review police procedures during your arrest and seek any inconsistencies that could help your case in Okeechobee, Stuart or Vero Beach. DUI – better known as “driving under the influence” – is a serious criminal charge filed against those suspected of driving while drunk or drugged. In Florida, the legal blood alcohol content (or BAC) is .08. If police suspect that you’re under the influence of a substance that they believe has impaired or degraded your judgment, you most likely will be read your Miranda Rights, arrested and charged with DUI. Although most people assume a DUI involves alcohol, it’s not always the case. The “I” – which stands for “influence” – can be any substance that police believe impaired or degraded the driver’s judgment. This could include any type of drug – illegal, prescription or even over-the-counter. A blood alcohol concentration (BAC) level for someone under 21 is .02 percent. For those 21 and older, the BAC is .08 percent. And for commercial drivers, the level sits in the middle at .04 percent. To put this into liquor level perspectives, this Blood Alcohol Level Chart provides an idea of what would be considered an impaired driver versus a legally drunk driver, and a lot of it depends on the weight of the person drinking. For a more detailed listing of alcohol content levels in beers, wines and hard liquors, Wine Folly breaks it down nicely. For example, two guys go out for drinks. The 180-pound guy has a beer (0.05 percent alcohol). His friend, who is 200 pounds, decides to have the same drink. The smaller guy could be classified as an impaired driver while the heavier guy would be within his limit. For second or more DUIs, the fines go up, as do the community service hours, probation and maximum prison sentences. Indian River County: 511 people were arrested for DUI. Those who were found guilty total 367. More than 28 percent (144) of those charged were not convicted of the charge of DUI. St. Lucie County: 901 arrests were made for DUI. Of those, 255 were not convicted of the charges – totaling more than 28 percent. Martin County: There were 810 DUI arrests; only 624 of those were found guilty of the charge. Twenty-two percent avoided conviction. It’s very likely that those who were not convicted retained a skilled Fort Pierce DUI defense attorney with intimate knowledge of Florida’s DUI laws. A DUI is a criminal offense, and unlike a minor traffic violation, it almost never leaves your record. Even the smallest amount of alcohol or drugs could affect the reactions of a driver. However, your particular circumstances may be different. If you live in Fort Pierce, our DUI attorneys stand ready to help you. Law enforcement has been trained to identify signs of drivers who are under the influence. Inebriated drivers are much more likely to swerve in their lane, drive with their lights off. They’re less likely to notice the windshield wipers that are on – even though it’s not raining. Any of these could qualify for probable cause for you to be pulled over by law enforcement. Imagine if someone has really bad posture or is naturally clumsy. The walk and turn or the one-leg stand could be misinterpreted as inebriated when it’s really just someone who is a klutz. If this person has a health condition (ex. Nystagmus), this could also cause for a conflicting observation about eye contact. This device is a breath alcohol testing device used by law enforcement agencies to determine alcohol levels. Because alcohol cannot be digested immediately after absorption or change the bloodstream, a blood test will be a lengthier process. In addition to having to find a sanitary place to test alcohol levels from blood, the likelihood of sobering up in that timeframe could defeat the purpose of the test. There’s also the travel expenses associated with trucking potentially drunk drivers back and forth to testing locations. However, alcohol from the lung’s air sacs and exhaled into the air can be calculated from this device in real time without leaving the area of initial questioning and potentially lead to some drivers walking away without arrest. Should you blow a Breathalyzer? We cover this topic extensively in this blog. The big takeaway is this: If you are asked to take this type of test, understand that you cannot be forced to submit to the test unless you were involved in an accident with fatalities. There is a reason the officer is so anxious to get you to blow a Breathalyzer – It is very strong evidence that can be use against you. Aaron is pulled over on Port St. Lucie Boulevard. He’s too distracted with his radio to realize that his windshield wipers were left on during the downpour the night before. The police officer tailing him did notice; however, seeing this as odd behavior in a cloudless sky. By the time Jim realizes the wipers are on, the siren behind him goes off. Aaron panics, recalling the large mug of beer he chugged before he hit the road, but calms down as he reminds himself that’s the only alcohol he had all day. The officer approaches the driver’s side window and the driver seems perfectly coherent. Still, those wipers were on for a reason, and Aaron is asked to blow a Breathalyzer. Aaron figures that at 220 lbs., there’s no way he would be legally drunk, so he consents. Aaron blows a 1.1, because he literally just slammed it all 15 minutes ago. Not only will Aaron be arrested and charged with DUI, he has just made his DUI lawyer’s job much tougher. Why would a prosecutor be inclined to strike a deal when they have evidence of your guilt in hand? Jim is pulled over on I-95 just past the Orange Avenue exit in Fort Pierce. A police officer observed Jim swerving in his lane, and on came the lights. Jim consumed a large number of alcoholic beverages at the holiday party he just left, and he’s understandably nervous as the police officer approaches the driver’s side window. Jim is asked to step out of the vehicle and perform a number of field sobriety tests. Based on the tests, the officer is convinced that Jim is drunk and asks him to blow a Breathalyzer. Jim refuses. The police officer tries to press Jim, saying that the court could look more favorably upon him if he cooperates. But Jim knows that despite the officer’s insistence, he has the right to refuse the test. Jim knows that failure to consent to a Breathalyzer test means he will be placed under arrest and will have his license suspended. He also knows that if he blows that Breathalyzer, he not only will be arrested – he will have provided proof that he was drunk, leaving his Fort Pierce DUI attorney with very few options for dismissal. Florida’s “implied consent” law states that if you’re pulled over for suspicion of driving under the influence, you will consent to a Beathalyzer or similar test. If you refuse to do this, your license will be suspended for one year. However, if you blow the Breathalyzer and fail, you will likely be convicted of DUI and have your license suspended. If you’re pulled over, don’t be intimidated. Some officers might tell you that if you cooperate and confess to being drunk, prosecutors will go easier on you. That’s simply not true. A police officer’s job is to file a comprehensive report on your DUI, which includes evidence that could be used to secure a conviction. In reality, officers have zero clout with prosecutors, and sometimes try to trick suspected drunk drivers into a confession to help seal their fate. While this tactic might seem dirty, it’s perfectly legal. If you’re being pulled over by police on suspicion of drunk or drugged driving, the decisions you make as soon as you see those flashing lights could mean the difference between a conviction or dismissal of charges. If you’ve been arrested and charged with DUI, your car likely was impounded, meaning you won’t have access to it right after you post bail. There’s a lot of confusion and anxiety after a DUI arrest, especially if it’s the first time you’ve been arrested. For those who have been arrested in Fort Pierce, our DUI lawyers can help by providing expert investigative skills, sensitivity to your particular circumstance and aggressive protection of their client’s rights. With this in mind, it’s important to retain skilled representation by a dedicated criminal defense attorney. The Fort Pierce DUI attorneys at Ohle & Ohle can help you fight your DUI charges in Port St. Lucie, Stuart, Vero Beach, Okeechobee and elsewhere in the Treasure Coast of Florida. The Treasure Coast of Florida spans three counties and roughly two dozen cities. If you’re arrested on DUI charges, you will be taken to the local police station – local to where the arrest was made, that is. This can cause all types of confusion for family or DUI attorneys attempting to locate the suspect. Understandably, after a DUI arrest suspects are often nervous and emotional. Our clients often tell us that everything after an arrest seems like a blur. So, it’s understandable that might not know where you’re being taken, much less have the opportunity to relay this critical information to loved ones who could bail you out, or your DUI attorney who might be trying to make contact. Because each county has its own sheriff’s department, the exact location you were arrested will determine where you will be booked and held. Be sure to call the detention facility before making the trip out there. ARRESTED IN PORT ST LUCIE?